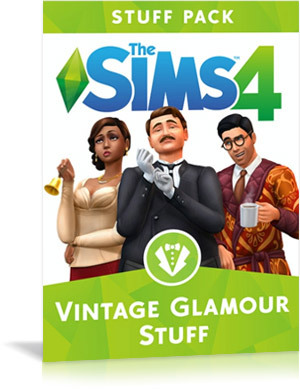 The Sims 4 is going classic with The Sims 4 Vintage Glamour Stuff Pack. 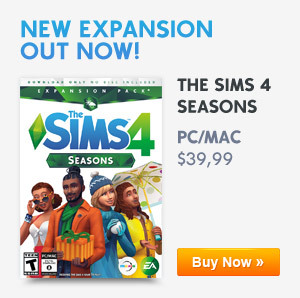 This pack has really great ‘new’ decorative items & fancy furnishings for your Sims home. The butler is exclusive to Vintage Glamour stuff and they will help around the house with chores like cleaning, repairing or tending the garden. More clothing, fancy new hairstyles or put on temporary make-up to go to glamorous parties. 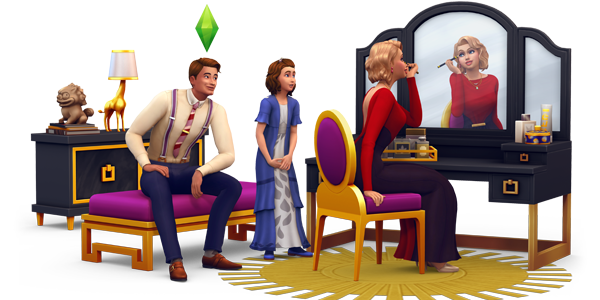 This pack has some really cool new objects to make your Sim’s home feel like it’s right out of the golden age of old Hollywood. Put on some make-up at your new vanity table but make sure there aren’t any kids around, they like to ‘put on’ the make-up too. More objects you will find are the Monte Vista Globe Bar, serving trolleys, a new bed, vintage mirrors, high curtains, fireplace and many more! 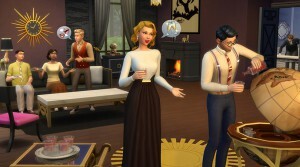 The Sims 4 Vintage Glamour Stuff also adds a Butler that your Sim can hire to do the things they don’t want to, like cooking, cleaning, repairing broken things and tending to the garden. When you spot a butler relaxing when their on duty they will get embarrassed, but don’t be to mean to them because they can, and they will sabotage objects. Make sure you hire a great butler with the right traits for your family. You don’t want a butler with the ‘hates children’ trait when you have children. Who doesn’t love those vintage hairstyles and the beautiful luxury dresses. The new jewelry that comes with this pack are the perfect fit for those dresses. Get the butler and amazing new objects with this stuff pack.